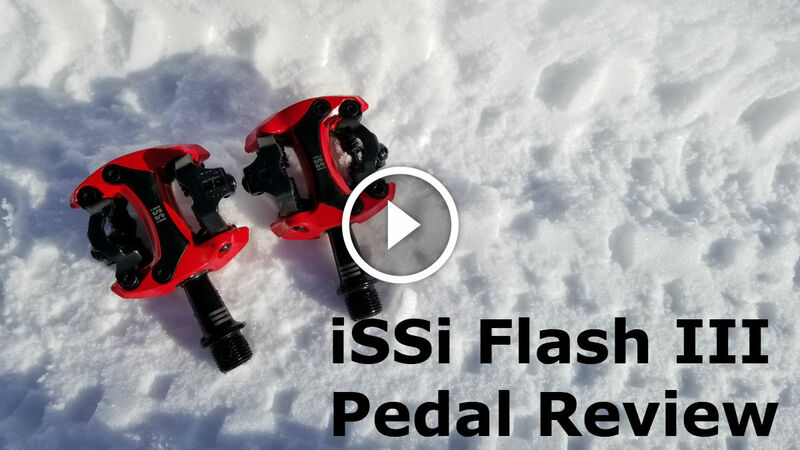 The iSSi Flash III mountain bike pedals are a dual-sided SPD very similar to a standard Shimano SPD pedal. 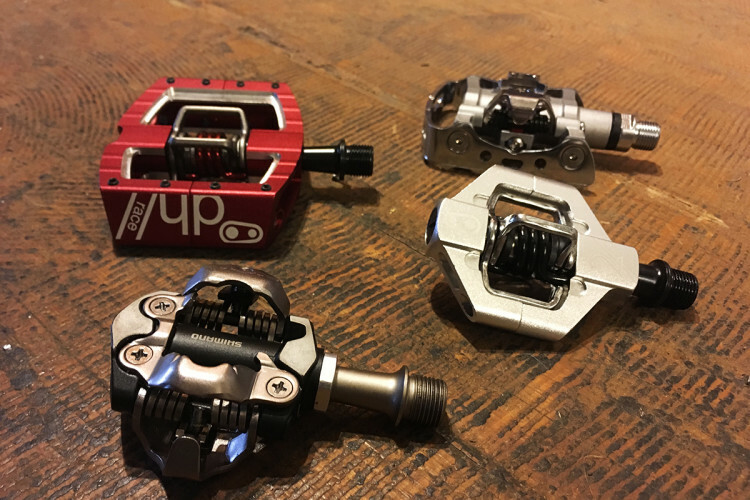 The Flash III is designed to be the direct successor to the iSSi II pedal with a few improvements like a smoother bearing system, better platform design, and more customizable options. The first thing you’ll notice about the Flash III is probably the color. The Flash III comes in 10 awesome colors to match any color scheme, with options like teal, violet, pink, and lava red. I chose lava to match the decals on my Epic and I love the extra bit of color. I really like the color options and I think it is a great way to make your bike POP. I am unfortunately a bit disappointed with the durability of the paint. I’ll admit, I live in a place that is ‘rocky AF’ and pedals strikes are a guarantee, but I was bummed out because paint was chipping off after literally the first 10 miles. Of course, all my pedals are smashed up like crazy and it’s no surprise that the pedals got dinged up, but I was hoping the paint would last a little longer. Aside from the weak paint, I think the Flash III pedals have a lot going for them. The pedals are compatible with standard SPD cleats. I have SPDs on all of my bikes, and being able to switch back and forth between bikes with the same pair of shoes is very handy. The Flash series has a chromoly spindle and all the hardware is ED-coated to prevent wearing. The pedal comes standard with a 52.2mm spindle, and iSSi offers two longer spindle length options as well. 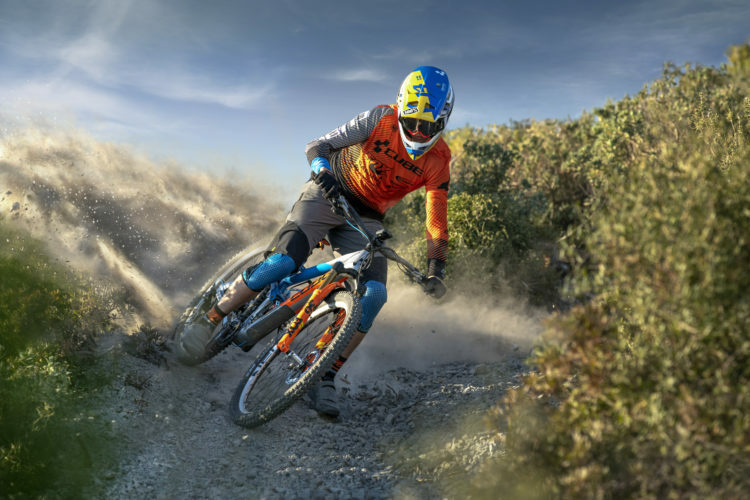 This allows riders to get just the right Q-factor. Like most clipless pedals, the Flash has an adjustable spring tension system which is very simple to use. There is a small indicator above the tension bolt with + and – symbols to indicate the tightness relative to the maximum or minimum, so riders can adjust exactly to their liking. I typically like my pedals very tight with minimal float, and I found I could crank these babies WAY up. 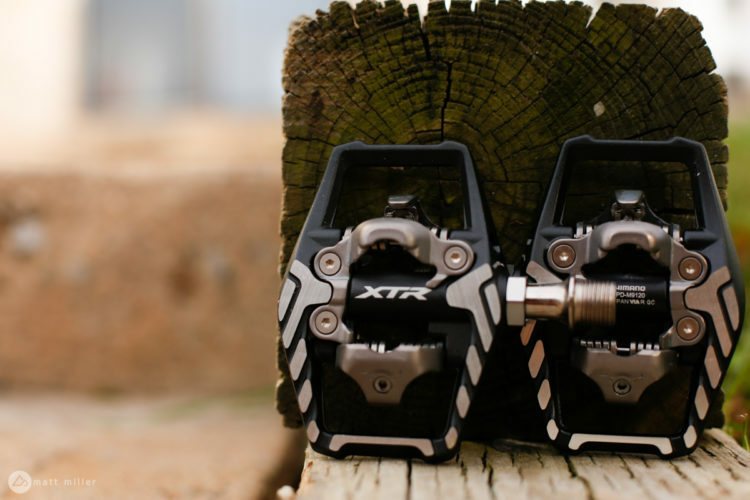 Speaking of float, the Flash is sporting a fairly standard 4 degrees with a 14.6 degree angle of release (which is very similar to most Shimano SPD pedals). All those factors combined with a decent platform really gave me confidence, like my feet were glued to the pedals. The new design of the Flash III is said to shed debris much easier than the older model, and I found that it worked fairly well. This should really appeal to riders who like to get dirty–I’m looking at you cyclocross riders. 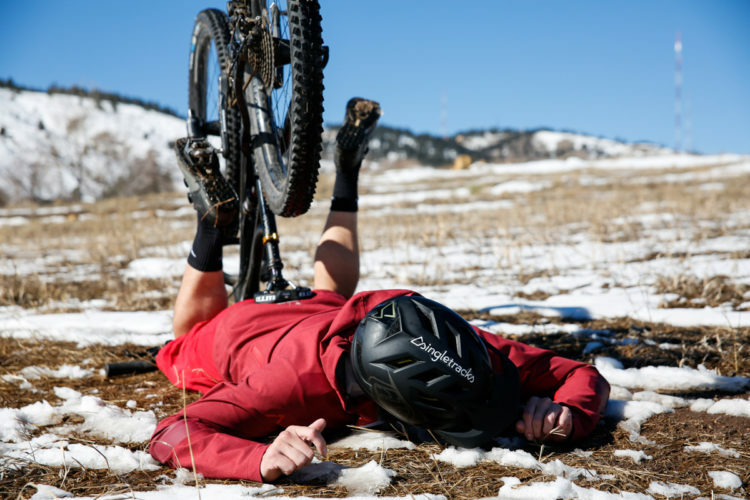 I took the Flash III pedals out on the fat bike and found they stayed fairly clear of snow and mud. 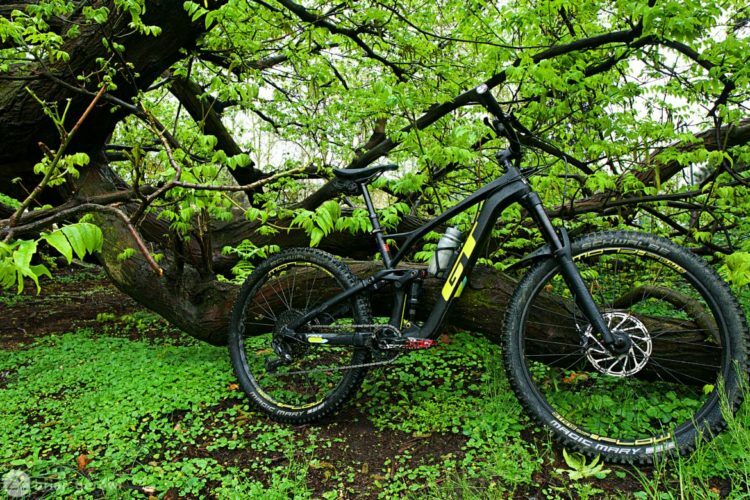 I happen to have a pair of iSSi Trail 1 pedals to demo as well. 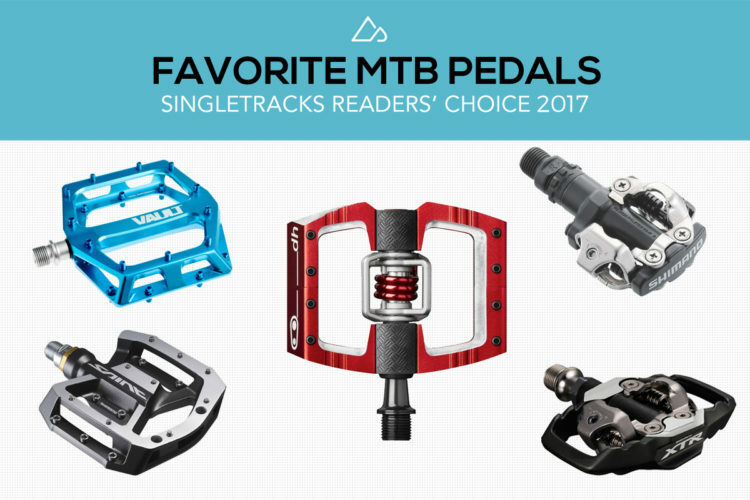 These pedals have a much larger platform for those looking for a more enduro/trail style pedal. 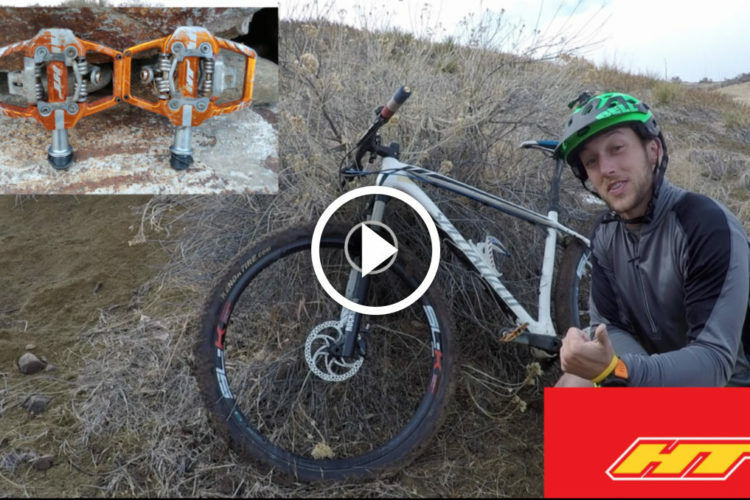 These pedals gave me a higher level of confidence and control in tough terrain, and I found that they seemed to shed the gunk just as well as the Flash series. One of the best features about the Flash III is the bearings. The pedal’s axles turn on impressively smooth sealed bearings which, in my opinion, are quite a bit smoother even than the Shimano pedals I’ve used. Even better, the whole system is serviceable with replacement parts sold by iSSi. Take care of these pedals, and they are guaranteed to last a good while. I really beat these pedals up over the past few months, and aside from the paint chipping, I have seen no degradation in performance since the day I opened the box. When it comes down to it, I think both the Flash and Trail series are great pedals. I love the buttery smooth bearings, adjustable tension, smooth clip in and out, and of course the awesome colors. I am a little bummed that they chipped so easily, but it is a nice change of pace from the basic Shimano pedals everyone and their brother has. It is a little tough to tell you exactly how much the Flash pedals weigh because of the different variations offered, but my Flash III pedals with the standard spindle come in at 344g. The top-of-the-line Flash III uses three bearings for the smoothest spin of the three, and retails for $105. The Flash II drops down to a bushing and a bearing system and is priced at $85. Finally, the Flash I is the most affordable of the bunch at $65. The Flash 1 model does not offer spindle variations and has dual bushings. If you’re looking for something with a bigger platform, the Trail 1 (seen here) is $70 and ranges all the way up to $125 for the top of the line Trail III model.